Unfortunately, though, it’s going to take a little bit of time for me to get ready for this. And I probably won’t spend much time on that today, because my puppy is being delivered some time this afternoon! 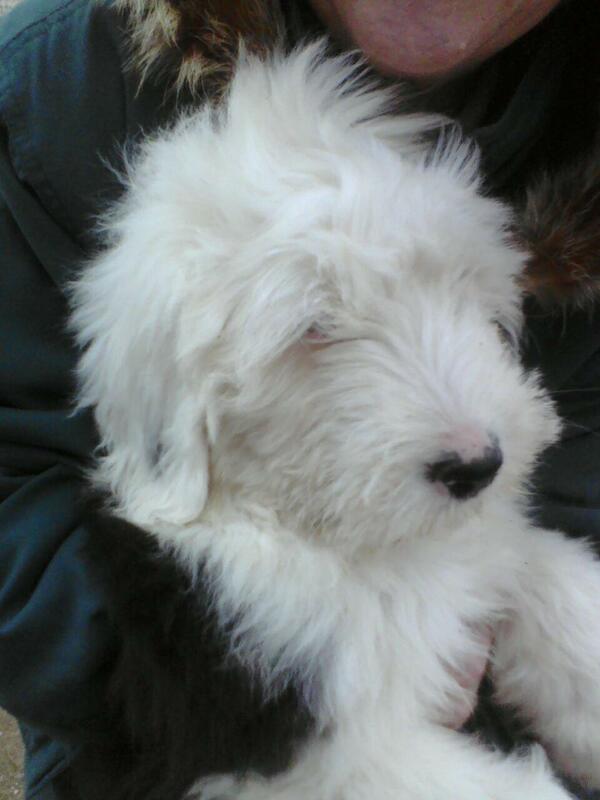 She's a 3-month-old Old English Sheepdog. I've wanted a dog — an Old English in particular — for more than a year now. Finally the right pooch came along. Yes, I’m excited! And distracted. We haven’t settled on a name for her yet; I plan to post about that when we’ve got it finalized. What a beautiful dog! Lucky you. And can’t wait to see your new ideas in play here. Very exciting. Oh, I hope we’ll get to see lots of pictures of the new puppy! how fun on both accounts! I’m eagerly awaiting . . .
Holy cuteness. Puppies are so fun! Oh my gosh. How cute! Congrats on the new puppy! Oh, what a sweetie! I’ll be looking forward to getting to know her – AND seeing what you do to shake things up around here :-). I’m excited to see what you do with your blog and that pup is just gorgeous! What a cutie!! I can’t wait to hear about your adventures with her. Congratulations! So cute! Old English Sheepdogs are one of my favourite breeds! I hope you have lots of fun together. That puppy is so cute. I look forward to hearing about your lightbulb. I’m glad you have your blogging enthusiasm back. I’ve always enjoyed your blog so I’d hate for you to get burned out. Yay for the new puppy (and lightbulb)! OH! Congrats on the puppy! I’m giddy with excitement for you. Not much can match the excitement of building a relationship with a cute cuddly lovable adorable puppy. Cute dog!! Good luck with the new puppy. Dogs are very loyal and rewarding. I am excited to read more about your idea and I love the puppy!!!! SO CUTE!